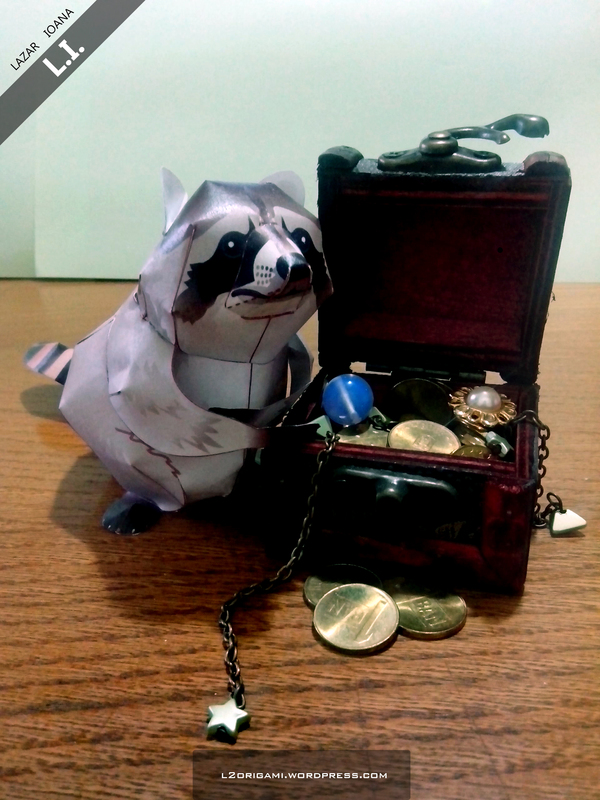 This cute papercraft raccoon named Munchie just hit the big time by finding a lost treasure chest! 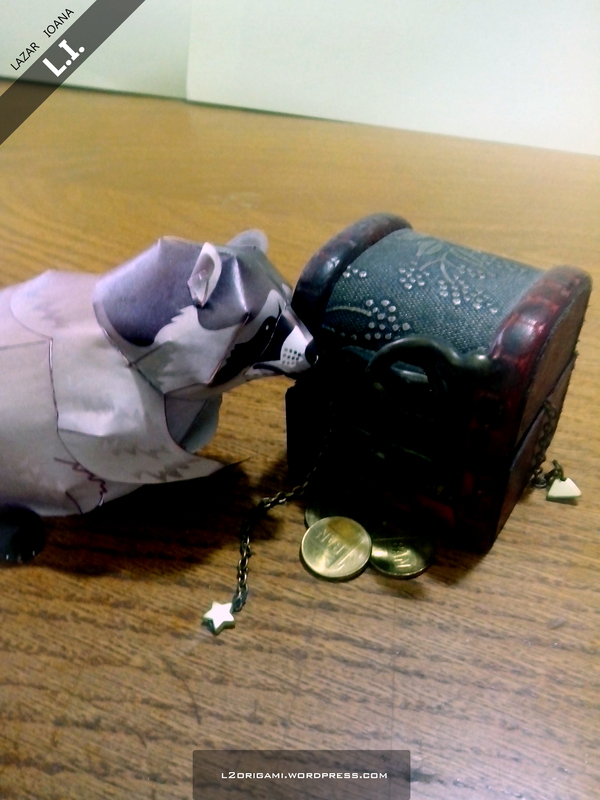 I wonder what will he buy with all that loot!? 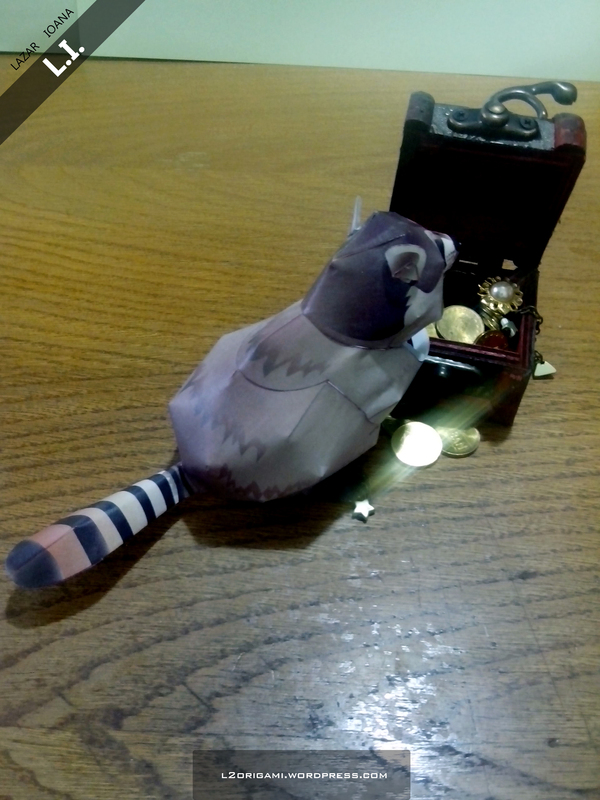 I don’t think you guys know this but raccoons are my favorite animals! They are cute and fluffy and a regular softie if you get to know one.